A walk at Eyre on Raasay yesterday was rewarded by a long viewing of a dog otter; another was in Churchton Bay last weekend. I shall be leading a walk on Skye for SWT Skye Members’ Centre on Tuesday 26th June when we will visit the Fairy Glen area. 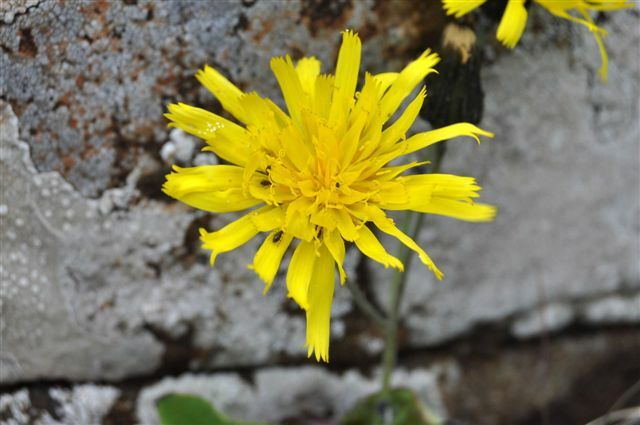 There are some interesting records such as Orobanche alba (Thyme Broomrape), Draba incana (Hoary Whitlowgrass) and some Hawkweeds, but very few records at all in the past thirty years. The Threatened Plants Project only requires me to look at Alchemilla wichurae (a Lady’s-mantle) this year but Heather McHaffie at RBGE is after specimens for DNA of various species in VC104 such as Koenigia islandica (Iceland Purslane) and Poa glauca (Glaucous Meadowgrass), so I shall see what I can do. The recent description of Hymenophyllum x scopulorum, the hybrid between H. wilsonii (Wilson’s Filmy-fern) and H. tunbrigense (Tunbridge Filmy-fern) leads me to look for it on Skye as the two parents grow together not far from Sconser where the Raasay ferry goes. There are also numerous old records to look for and some recent teasers like Arum maculatum (Lords-and Ladies) plus the usual tetrad-bashing in the hope of eventually covering the whole vice-county. 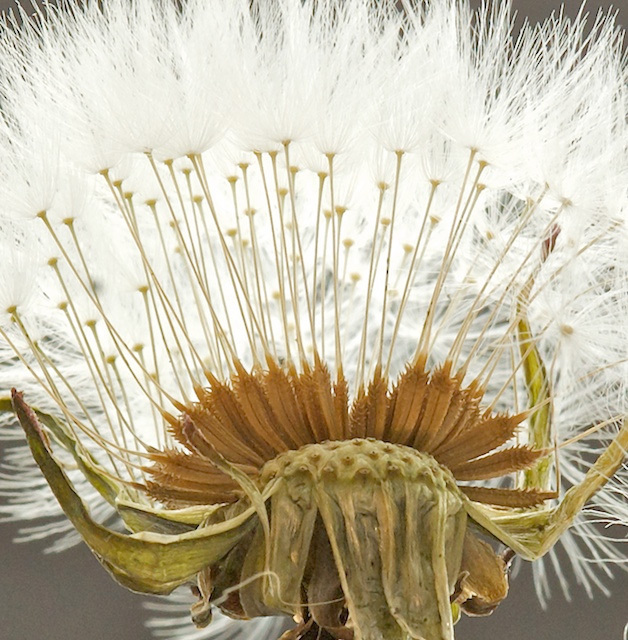 Claudia Ferguson-Smyth has sent me her records of dandelions on Rum from May 2011, all determined by Taraxacum expert John Richards. 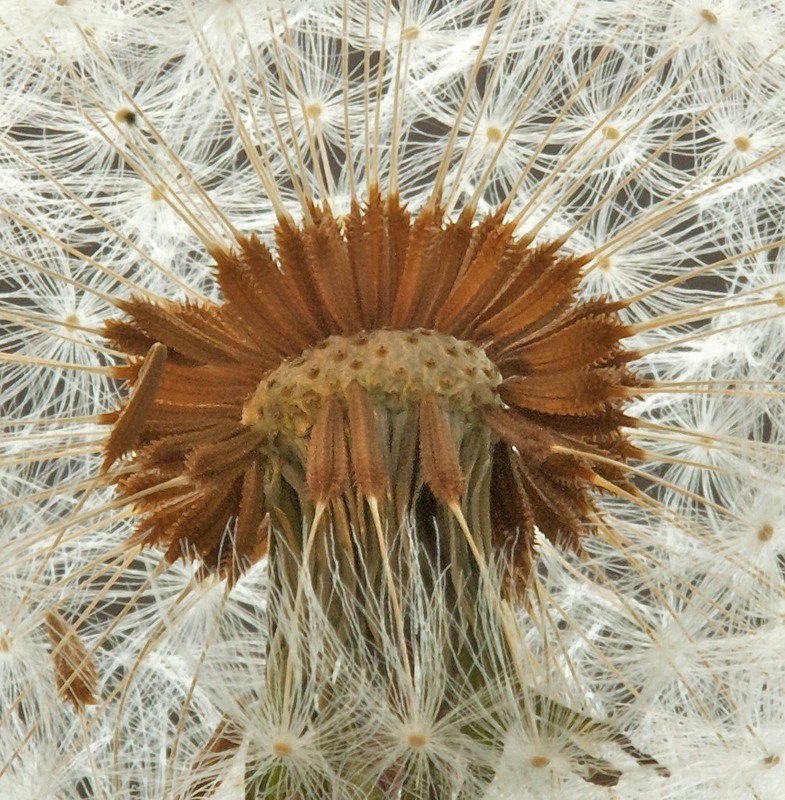 The list includes four species that are new to the vice-county and two (Taraxacum exsertiforme and T. undulatum) that are new to Scotland, judging by the BSBI Distribution Database. 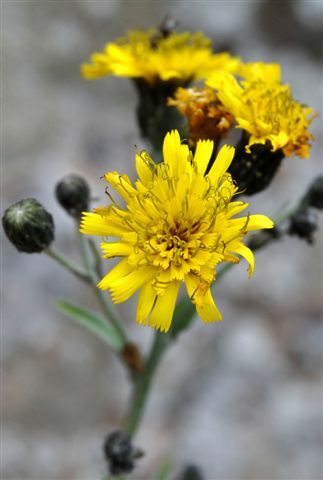 When Michael Usher was on Muck last year he collected two Hieracium (Hawkweed) specimens that have now bee determined by David McCosh as H. latobrigorum (Yellow-styled Hawkweed) and H. subcrocatum (Dark-styled Hawkweed), neither new to the vice-county though firsts for Muck and much-needed recent records for a genus that gets too little attention. It was fun to be quoted in The Times of London on Saturday as “The author of A Flora of Raasay and Rona” after I objected to a story about Arabidopsis thaliana (Thale Cress) being illustrated by a fat cabbage. In the past week or two there has been another Winter Moth, this time in the garage, and a white-tailed eagle soaring above the house and the area nearby for about a week. I have had a first look for Holly Leaf Gall Fly (Phytomyza ilicis) and Holly Speckle Fungus (Trochila ilicina) on Raasay, current targets from Highland Biological Recording Group. Must try harder next term.